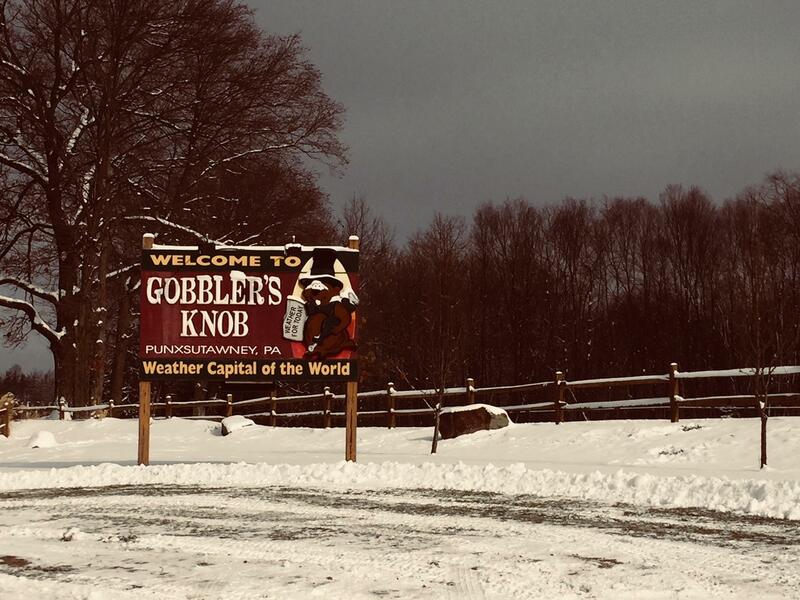 Gobbler's Knob is the site of the annual Groundhog Day event, when Punxsutawney Phil predicts whether there will be an early spring or six more weeks of winter. John Griffiths is chopping up vegetables for Phil’s lunch. The groundhog dines in style. “I’m cutting up sweet potatoes,” he explains. Every year thousands of people travel to Punxsutawney to witness Punxsutawney Phil’s weather forecast. If he sees his shadow it means six more weeks of winter. If not, we get an early spring. 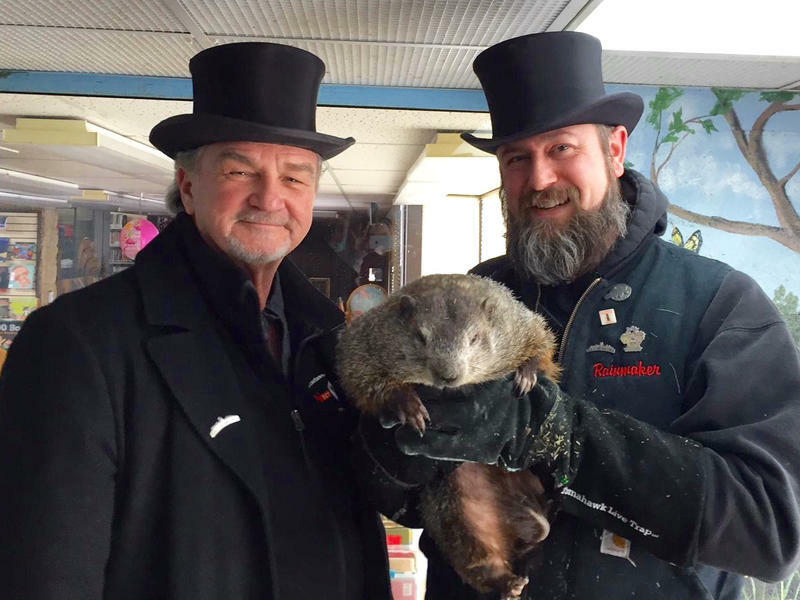 Griffiths is a handler in what’s known as Punxsutawney Phil’s Inner Circle. His duties include everything from preparing lunch for the famous groundhog to handling him on Groundhog Day. Punxsutawney Phil snacks on hand-cut fruits and vegetables, and naps on a bed of hay. He and his groundhog wife, Phyllis, live in their own zoo at the town library. Visitors can peer in through an outside window. We turned to Phil and Phyllis for a sneak preview about what will happen tomorrow. When asked if he would share his forecast on Groundhog Day, Phil replied with sniffing noises. We took that as a filibuster. Griffiths says the Inner Circle does not get inside information either. Griffiths has been a member of Phil’s Inner Circle for about 20 years. As a handler, he works directly with Phil, often sporting a top hat and tuxedo. A.J. Dereume is a newer member of the Inner Circle. He says Phil is the only weather-forecasting groundhog in the world. They like to recognize his stature. “As we consider him, he is the king of the animal kingdom. We have to honor him, and we do that with the tuxedos and top hats," Dereume says. 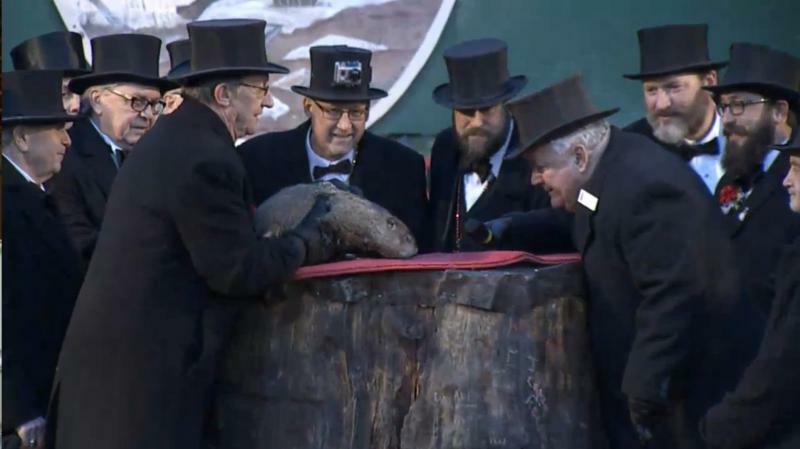 Phil’s Inner Circle insists the same groundhog has been making the prediction for more than 130 years. The secret? The elixir of life. One sip of the special drink gives Phil another seven years. But what’s in it? Another secret is how Phil gets from his home in the library to the big event, which takes place at Gobbler’s Knob, outside of town. Griffiths like to say Phil is taken by way of secret tunnels to throw off anyone who might be following them. “It’s like a catacomb down there,” Griffiths says. The tunnels are unconfirmed. However Phil travels to Gobbler’s Knob, once he’s there, he waits in a hollowed-out tree stump for the big moment. At about 7:25 a.m., the president of the Inner Circle taps on the door three times. Phil is brought out, and it’s up to the President to decipher whether Phil has seen his shadow. Griffiths says a cane made from the wood of an acacia tree allows President Bill Deeley to translate Phil’s forecast. “He doesn’t speak to Phil — this is kind of a misnomer going around — he interprets what Phil says. Through a series of whistles and clicks and any kind of noise that he makes,” Griffiths says. The prediction, they say, is right every time. Frank’s Star Lunch co-owner Frank Hetrick says the locals are believers. “Oh, absolutely it’s true,” Hetrick said. We’ll find out soon if we’re getting six more weeks of winter or an early spring. Either way, Punxsutawney Phil and his Inner Circle will be ready. 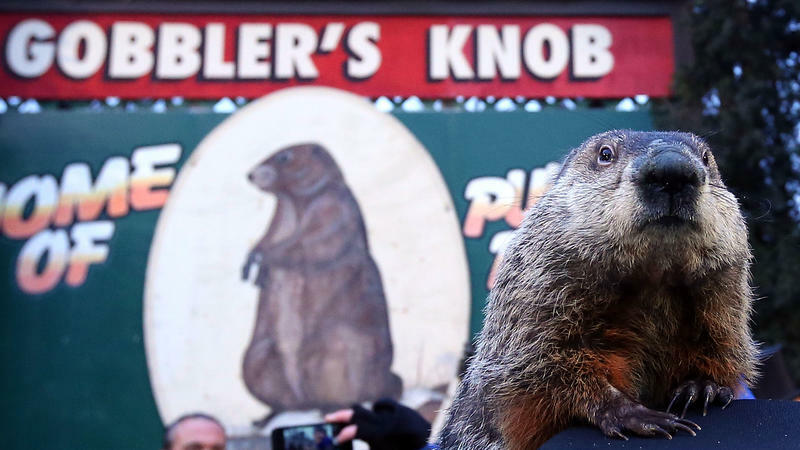 A large crowd turned out to see Punxsutawney Phil on Groundhog Day Thursday, waiting to learn whether the animal saw his own shadow on Gobbler's Knob. Phil was in an unusually feisty mood, but once he settled down, he saw his own shadow, officials deemed. A crowd gathered at Gobbler's Knob early this morning, awaiting the emergence of the groundhog named Punxsutawney Phil. After a tap of a cane on Phil's tree-trunk cage, his door was opened, and the animal emerged.